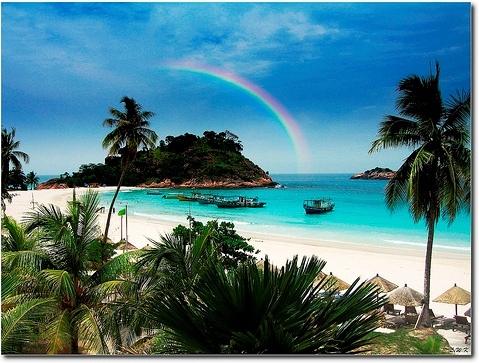 Malaysian government has a great program sparked by the Malaysian Tourism Board called "Malaysia My Second Home". What a great idea is this? Seeing how I used to work in Economic Development for the government when I lived back in the states...AND I love Asia, I think this is a great program. I first heard about it last year after meeting some folks from the UK, now retired in Malaysia. The program allows the retiree, and his family, to stay on a multi-entry visa for as long as possible. The Malaysian government also offers incentives for home and car purchase, continuing education, investments, tax exemptions and part-time work eligibility. This is incredible to me, as in many countries such as here in Indonesia, foreigners aren't allowed to own land or property of any kind. There are currently 12,000 people enrolled in the program. I have to say, Kuala Lumpur is one of the nicest and cleanest places I've ever been. There are a multitude of designer shops and restaurants to keep you busy for weeks! Click on the pictures to be taken directly to their source. So, would you retire in Malaysia? Wouldn't it be great if all countries offered programs like this? Just think of the tourism growth and it would strengthen the country's economy for sure, as retirees spend their money there and family comes to visit them as well.